Columbus doesn’t lack for international eats of any kind. Ethiopian, Japanese, Somali, Korean, Mexican, Nigerian – they’re all represented. Let’s focus on exploring Thai food, shall we? Westgate Thai is a Columbus favorite. The “restaurant” is four tables located in the back of the Westgate Imports Market. The family of owners are the ones serving you and preparing your meals. Items are often adaptable to preferred heat levels and to accommodate vegetarians. If there’s a dish you don’t know but want to try, be sure to ask about it! Owners Sam and Moly Karuchit create a very welcoming experience at Banh Thai Bistro in Upper Arlington. 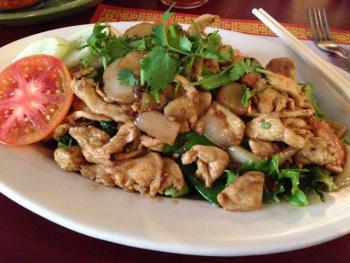 Their restaurant sports a big menu of spicy soups, Thai salads, and stir-fried noodles. And remember, even newcomers to Thai food shouldn’t be intimidated. Like most Thai restaurants, they can adjust spice levels to your preference. 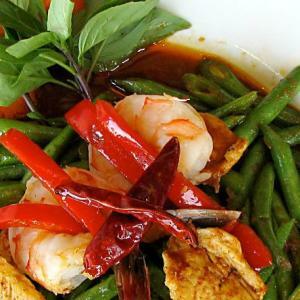 Bangkok Grocery & Restaurant offers a little slice of Bangkok in Columbus, from its décor to the menu rife with fried fish patties, spring rolls, Thai soups, and an extensive list of specialties. It will require multiple visits to sample everything! Basil Thai in the Brewery District excels at a variety of noodle dishes and curries. Vegan and gluten free preparations are available on request. 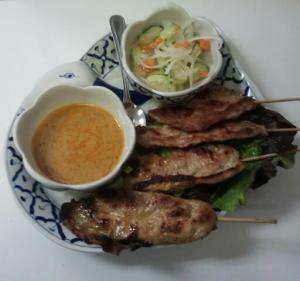 Nida’s Thai has two locations – one in Short North and a smaller stall in the North Market. 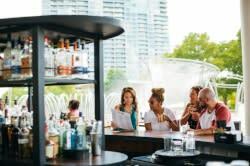 Both locations offer other cuisines, too, like sushi, but their Thai specialties are the real stand-outs, from the deep fried chicken wings to Tom Kha (coconut milk soup) and Tom Yum (Thai hot and sour soup), to their curries and Thai salads. Of course, this just scratches the surface – there are many more Thai places to explore all across the city. What are your favorites?